Oracle CEO Mark Hurd is known as an avid tennis fan and supporter of the sport’s development, having played in college at Baylor University. 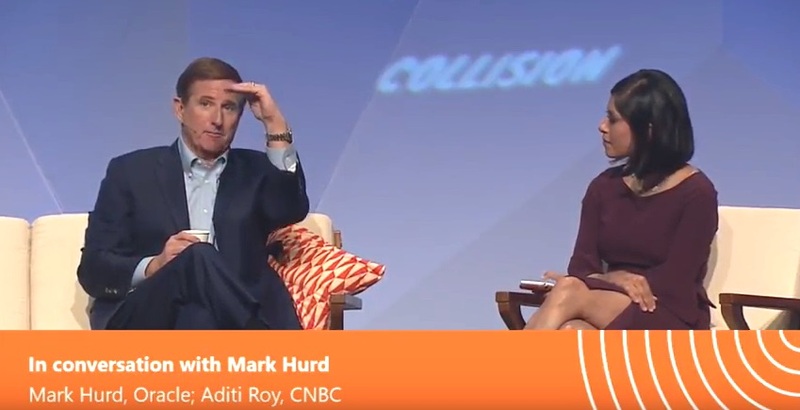 At the Collision Conference last week in New Orleans, Hurd discussed the similar challenges facing tennis players and top corporate executives. To a large extent, that future includes artificial intelligence. Hurd was quick to say, “I’m not looking for someone to say, ‘I have an AI solution in the cloud, come to me.’” Rather, Oracle wants to be able to integrate AI directly into its applications, in a way that gives customers clear business returns. He used the example of employee recruitment. “We recruit 2,000 college students today. It used to be done manually, but now we use machine learning and algorithms to figure out where to source people.” Not only does the AI help find potential employees, but it can help evaluate whether the person would be successful at Oracle. “We could never have done that before,” Hurd added. You can also watch the 20-minute entire interview here.